Microsoft continues to plow ahead to modernize Windows 10. With each new major update, new features are added, but at the same time, some of the older features are getting dropped. For example, one of the apps Microsoft retired, much to the dismay of Windows enthusiasts was Windows Media Center. Still, other classic Windows apps you’ve been using for years, while not being actively promoted, are still around. Here is a quick look at a few of these classic apps and how to find them. For watching videos on Windows 10, Microsoft has introduced the modern Movies & TV app. And you may have noticed that the new default music player is Groove Music — although it did retire the Groove Music Pass streaming service in favor of Spotify. Microsoft Groove is the default modern music app to play your local music files as well as songs stored on OneDrive. 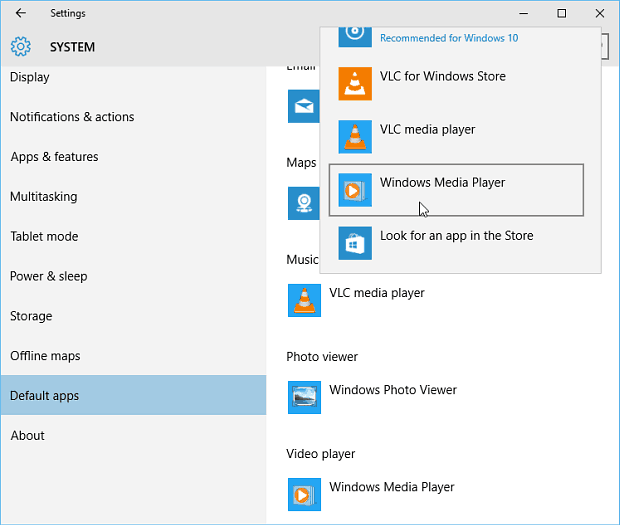 But if you’re moving from Windows 7 to 10 and are a long-time user of Windows Media Player (WMP) don’t worry, it’s still available. You can find it easily by hitting the Windows key and type: wmp (or type it in the Cortana search box). And if you’re a big fan, you can even set WMP as your default music player. 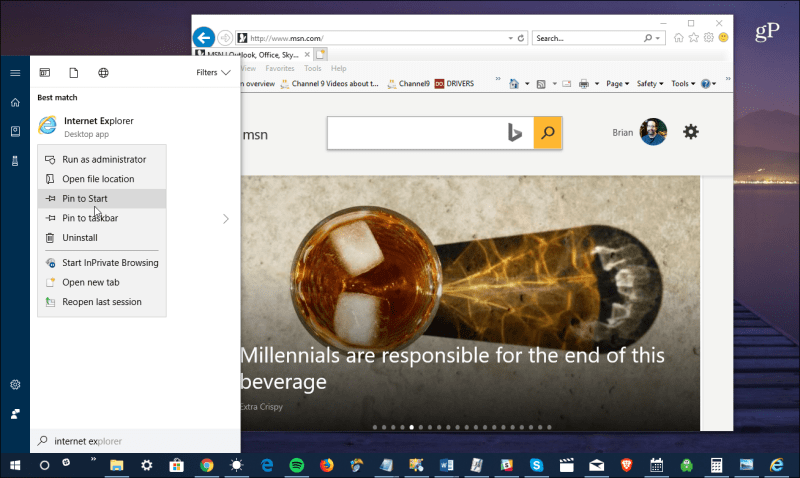 While Microsoft Edge is the new default browser, if you still need or prefer IE, hit the Windows key and type: internet explorer (or type it into the Cortana search box) and it will appear at the top under best matches. If you’re going to use IE a lot, you can pin it to your Start menu or taskbar by right-clicking it in the search results. With each new Windows 10 feature update, Microsoft continues to move system utilities to the modern Settings app. Not everything is there yet, and if you prefer the classic way of finding system settings versus digging around through the Settings app, you can still access the classic Control Panel. But it’s worth getting used to the new Settings app as Control Panel won’t be around forever and the Settings app continues to improve. 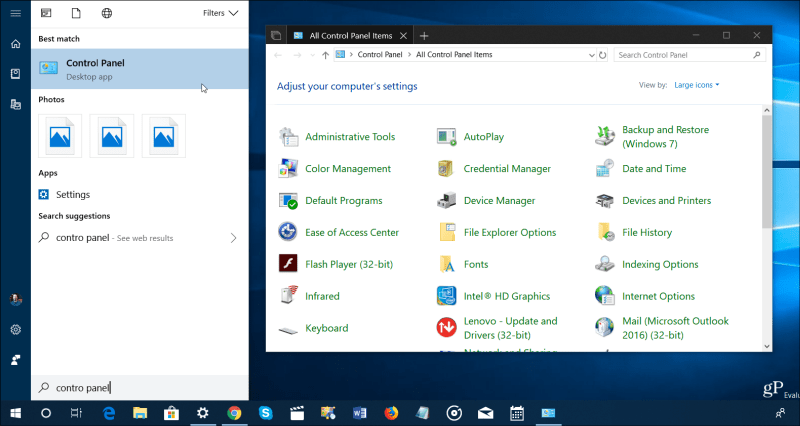 In earlier versions of Windows 10, you could find Control Panel via the “power user menu” by right-clicking the Start icon. But even that has been removed. So, to find it, just like the other programs listed above, hit the Windows key and type: control panel or cpl to access it. Ok, this isn’t something that is still buried in the Windows 10 operating system like the ones above, however, it is possible to bring back classic and nostalgic games from previous versions of Windows. One way to get classics like Minesweeper and original Solitaire games is to find them on Archive.org. 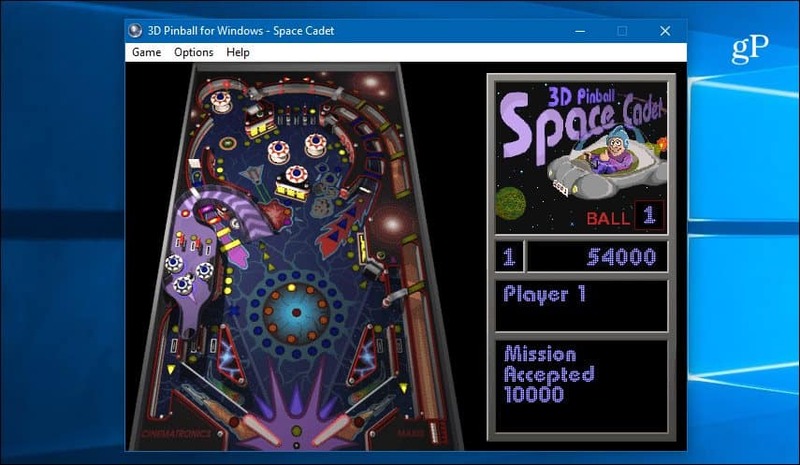 But one of my personal favorites Microsoft 3D Space Cadet Pinball. To learn to add that back, read our article on how to add Space Cadet Pinball to Windows 10. These are just a few of the long-time classic programs that have been with Windows for years. However, as Windows 10 continues to evolve, some of them won’t be around forever. What are some of the apps in Windows that you’ll hate to see get dropped? Talk about oldie but goodie, I installed MS Word 2000 on my Win 10 Home laptop (64 bit). That old program works fine for me, and probably the other parts of Office 2000 would as well if I wanted ever to use them.